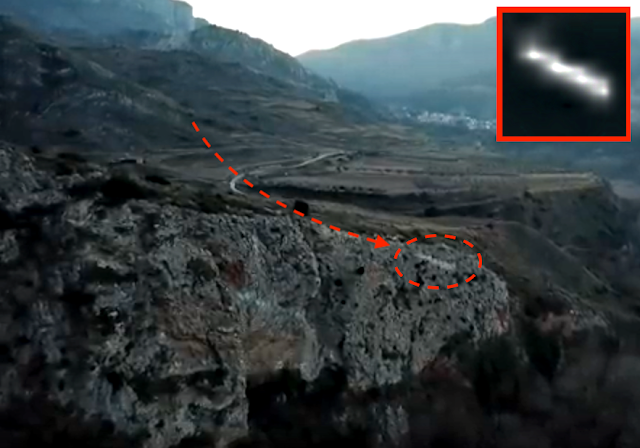 UFO SIGHTINGS DAILY: White UFO Shoots Past Drone At 300 meters per second over Spain, Jan 2019, Video, UFO Sighting News. 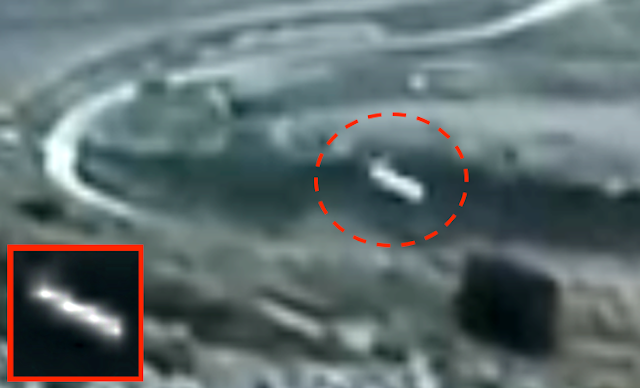 White UFO Shoots Past Drone At 300 meters per second over Spain, Jan 2019, Video, UFO Sighting News. This UFO was recorded by a drone in Spain last week. The UFO was sitting on the mountain side and noticed the flying drone...so it immediately did a flyby to investigate it. 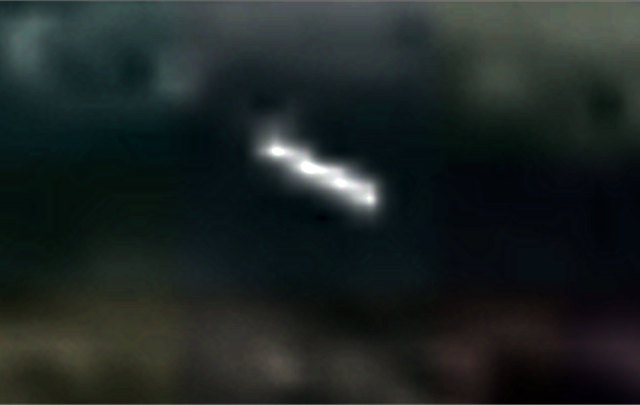 The object moved incredibly fast, so fast it appears to be a tube, when actually its an oval disk. In the close up you can see that its actually caught four times in the photo...thats how fast this is moving. Those four time are stretched out touching each other so that it appears to be long, when its not. UFOs are often atrracted to aircraft and this one was no exception. Yes UFOs can be small like this one. Aliens have drones, because not all species of aliens can walk among us without being noticed, and many breath different gases. According to his conclusions, the object captured by the camera of the drone is "cylindrical shape, with a length of about 2 meters". "It comes out of a brush and travels about 600 meters in a time of about two seconds, which would be about 1,080 kilometers per hour," something that "completely discards the explanation of an insect or any animal." "We may talk about a vehicle about two meters long that I doubt very much that it is human technology and that it goes out to see what is approaching," he concludes. Do you believe it? Do not? The truth is out there.